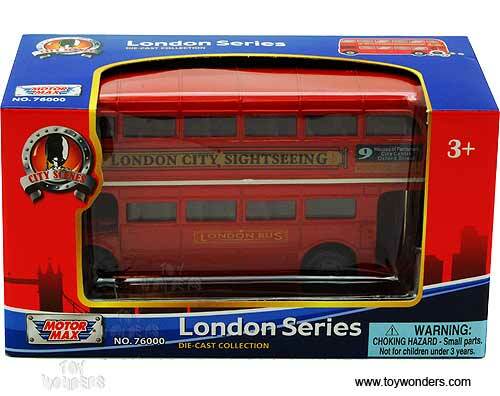 76002 Motormax - London Double Decker Bus Hard Top. 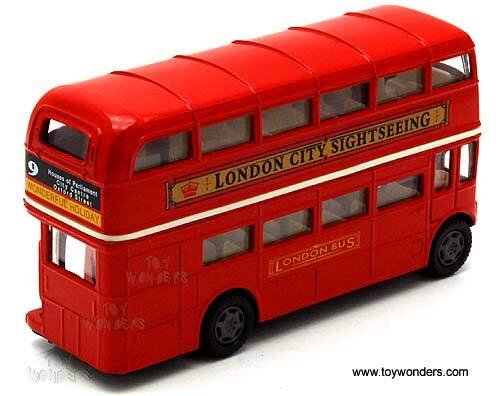 This London Double Decker Bus is a 4.75"L x 1.5"W x 2.5"H die cast model with free wheeling. 12 pcs per inner. Individually packed in a window box. Box size is 6"L x 2.75"W 3.25"H. 76002 is in RED color. 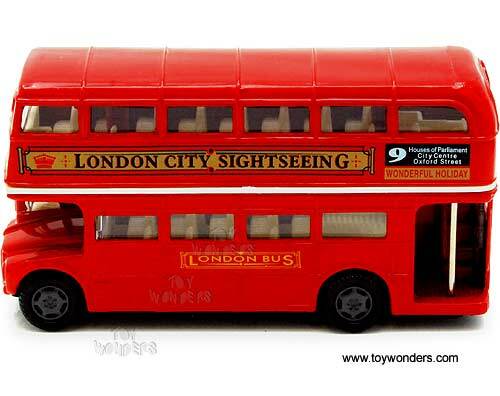 This London Double Decker Bus is manufactured by Motor Max Toys. 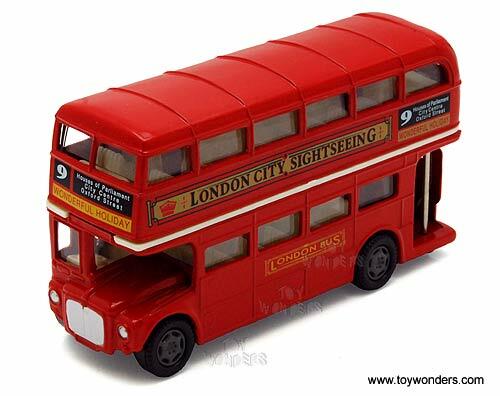 To see other London lorries and buses (click here).